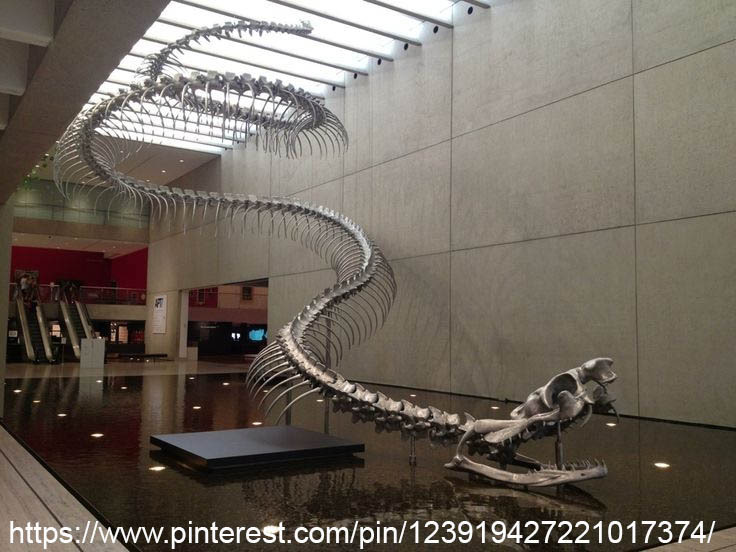 Titanoboa is such a good name for this snake that it is pretty much the same as the common name, the Titan boa. 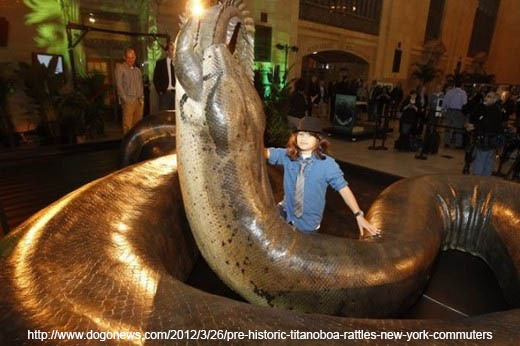 As its name suggests, the Titan boa was a big snake, in fact it is the biggest snake of all time. It could reach nearly 13 meters long and weighed over a ton. The Titan boa lived in the 10 million years after the K-Pg extinction which wiped out most of the dinosaurs (or K-T if you prefer). Specimens come from Columbia. There is only one known species in the genus Titanoboa. It has been placed in the Family Boidae subfamily Boinae and so is a close relative of true Boas (genus Boa).